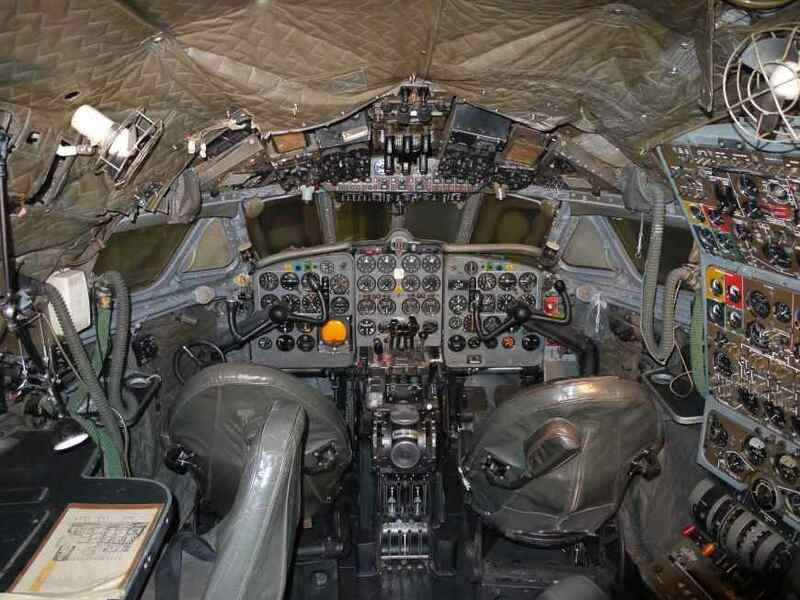 Thanks to FASF member, Doc Edwards, who first suggested presenting our followers with a pictorial evolution of aircraft cockpits, we have put this series of fascinating photos together. 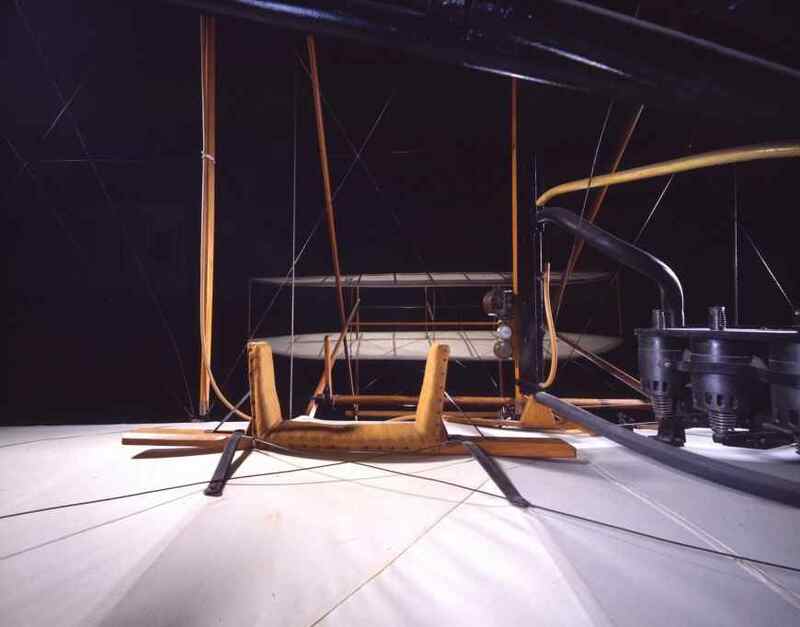 If you study the first photo below of the Wright Brother’s first “Wright Flyer,” you will notice that it’s not easy to even “see” the ship’s cockpit, since the pilot has no place truly worthy of even being called what we understand to be a cockpit. In fact, the Wrights, and those they taught to operate their “Flyer,” were completely exposed to the elements, with no protection, not even from the wind stream. Our beloved “Jenny” is seen in the second photo, and we now have what can be truly called a “cockpit.” This evolution from the Flyer took about 13 years and provided a degree of practicality to operating the aircraft never realizable with the original “Flyers.” While the Wright’s first “Flyer” models required the pilot to be prone, the later versions did at least provide seats for the pilots, who could now fly the airplane from a more comfortable sitting position. Our own FAS Columbus Squadron Commander, Captain Benny Foulois, actually learned to fly a Wright Flyer model with a seat, but was otherwise fully exposed to the slipstream, as much as were he on a motorcycle without a windshield. Did you know that he actually took lessons from Wilbur Wright by way of letters written back and forth between himself an Mr. Wright? To our knowledge, Foulois is the first student pilot to learn by way of written postal correspondence. 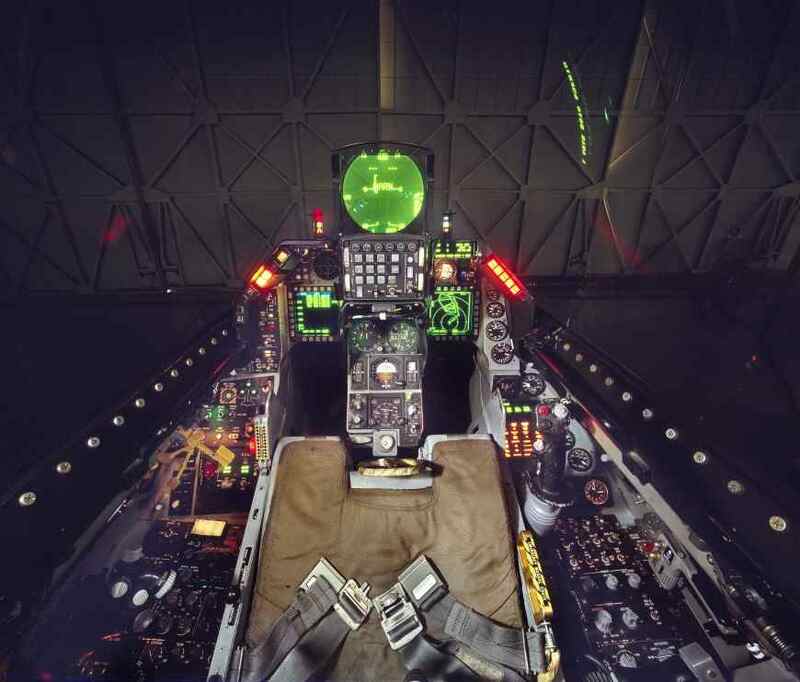 The second significant development we invite you to notice as cockpits evolved, is what took place after WWII, around the late 1970’s, when the old round analog gauges (affectionately called by pilots, “Steam Gauges”) began to disappear in favor of new digital or so-called “Glass Panel” instrumentation for flight crews. 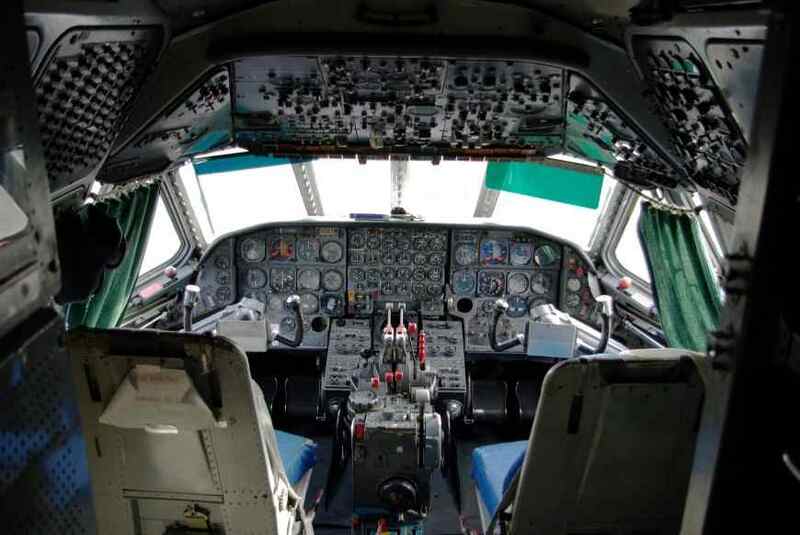 The use of the glass panels (similar to computer monitors) greatly simplified the appearance of the airplane instrumentation layout. 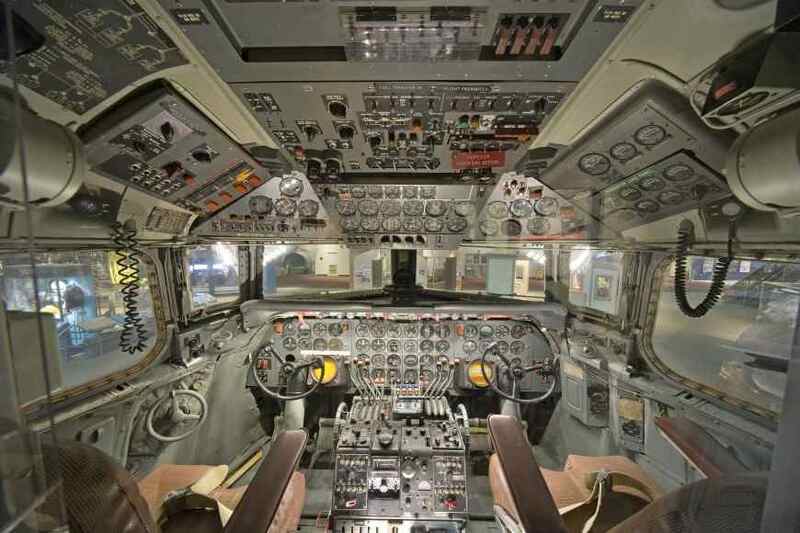 Other significant developments along the evolutionary road inside cockpits was in how the instrumentation and controls began to follow new rules for standardization. 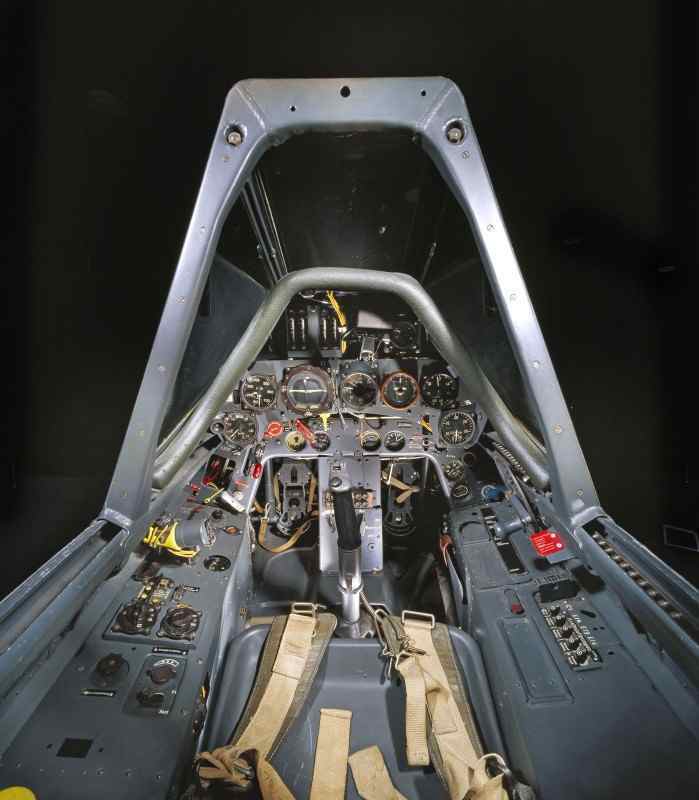 Similarly, the controls and instruments were also re-designed in favor of both comfort and safety, as the cockpits began to be laid our according the the principles of ergonomic design. 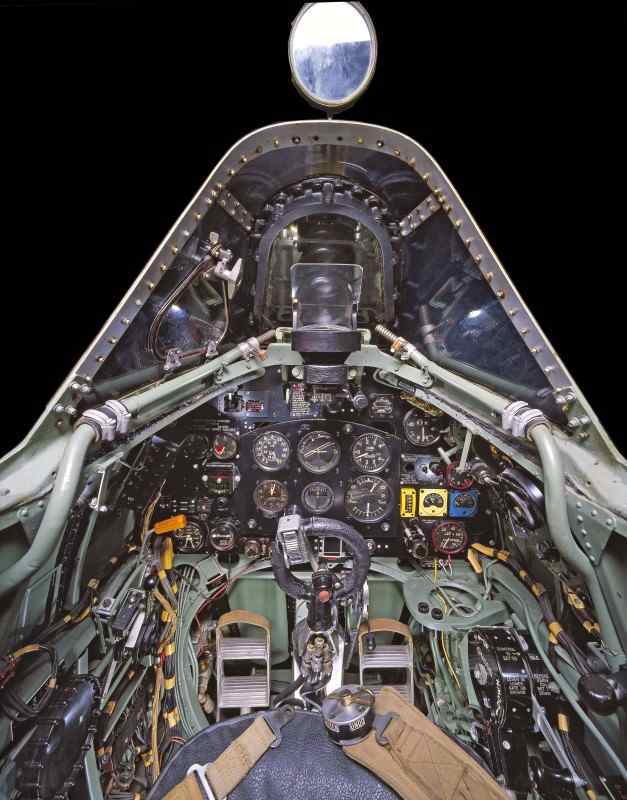 Many don’t realize that the older type or conventionally powered aircraft had instrumentation which is far more complex than what is used in most jet aircraft, which incidentally are also much easier to fly. Another interesting evolutionary change has been in the primary control called the “stick.” The early Jenny’s were most often equipped with this “Control Stick” while many single engined and also the later and larger airliners were most typically equipped with “Control Wheels” or “Yokes.” The “sticks” were almost always situated between the pilot’s knees, or centered in the cockpits, as were the “control yokes” for that matter. 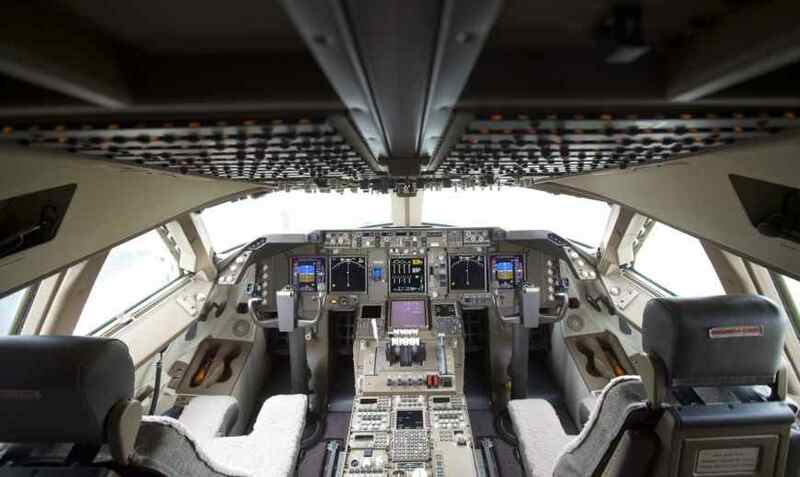 Now, however, many of the latest airliners and even jet fighters have a small “control stick,” however it is not centered in the cockpit, but rather found alongside the pilot seats on the side of the flight deck or cockpit. You can notice this change in some of the last photos below. 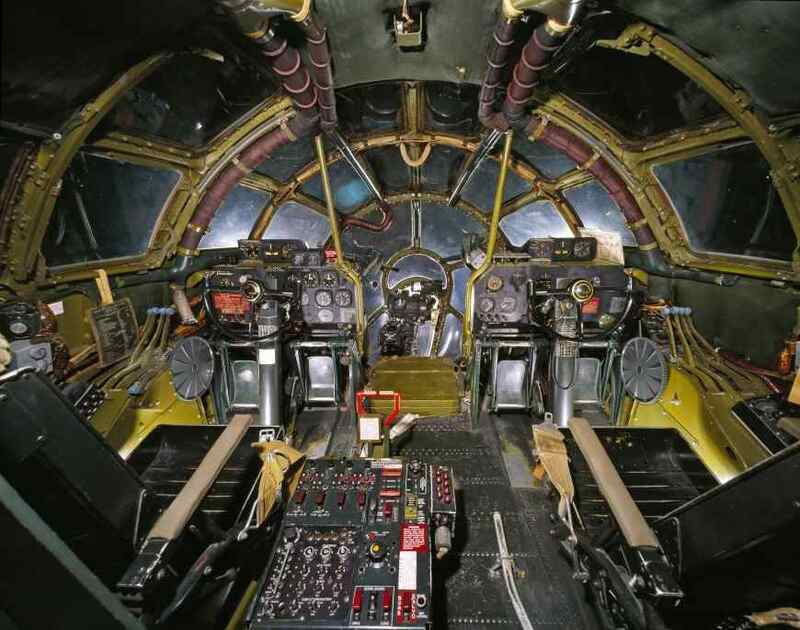 Please enjoy the following series of sample photos which help depict the evolution of aircraft cockpits. If you have any suggestions or other interesting comments to make, please give us your thoughts. 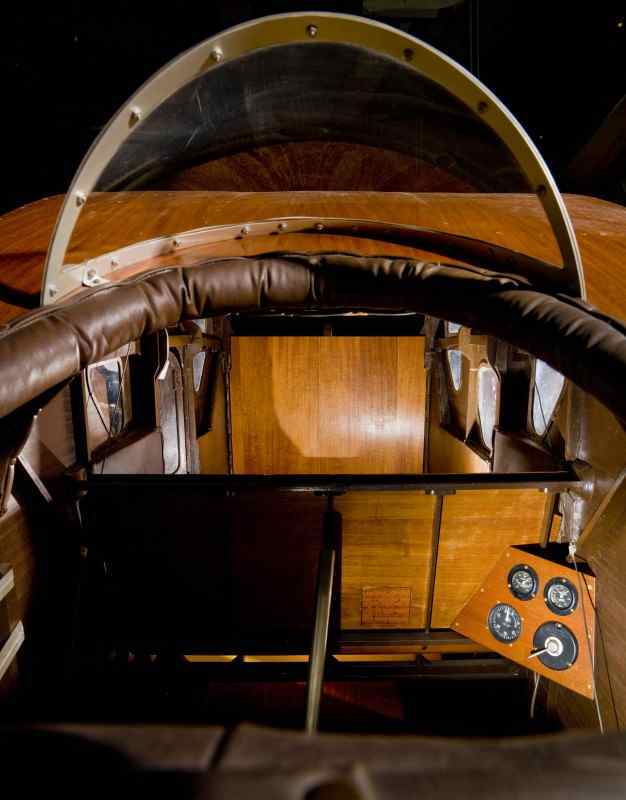 1903 – Wright Brothers’ Flyer – Is this even a cockpit? 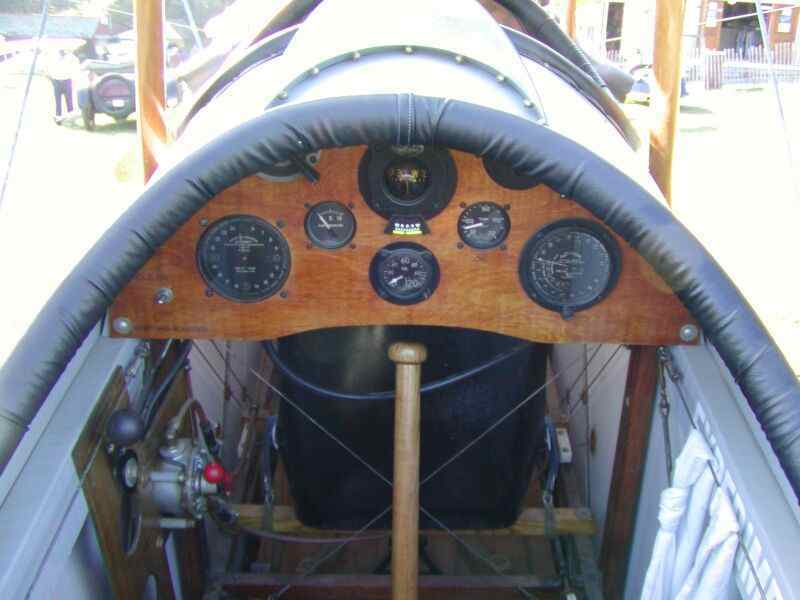 1916 – 17 – Jenny JN-4 Cockpit. Notice the wooden control “stick,” like the handle on a baseball bat, in center of photo. 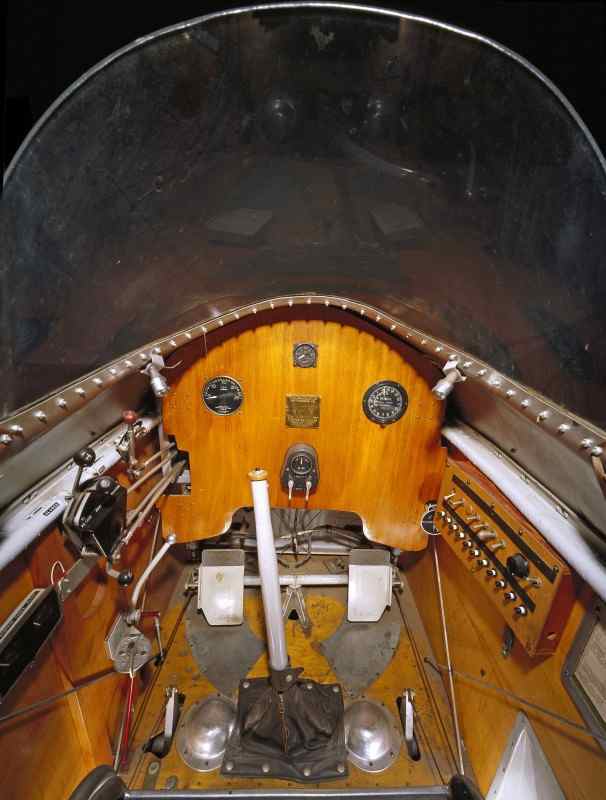 1927 – Charles A. Lindbergh’s Spirit of St. Louis Cockpit. Notice he also had a “stick” as seen above in center of picture. Because this unique aircraft had no forward visibility for the pilot, Lindbergh had a periscope mounted in the cockpit’s ceiling. 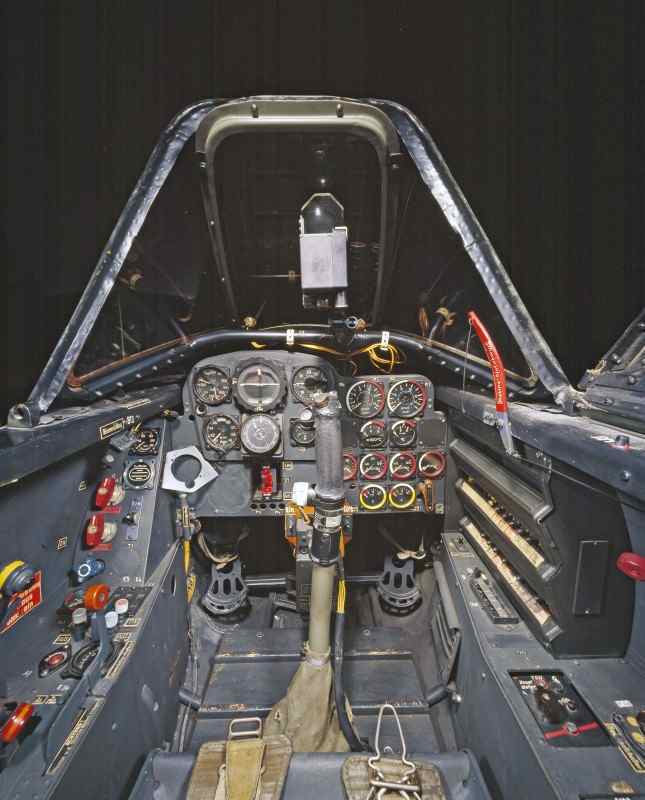 This device is in the top of photo, is painted black and sits slightly behind the control “stick.” This displays one of the earliest fully enclosed cockpits. 1925 – Douglas M-2 Cockpit of Mail Carrier Craft. Again take note of the control “stick” in the center above. This cockpit is still fully exposed and has no ceiling or enclosed sides. 1920’s – Award Winning Bellanca CF Monoplane. Once again you can see the control “stick’ in the center above. Also note that the passenger compartment was in front of and below the pilot in photo above. Again, and open cockpit. 1916 – Fokker D.VII German Fighter Aircraft from WWI – Flown by famous Ace Baron Von Richthofen. This German airplane also used the then conventional control “stick” (chrome tube above) with added controls attached to its top. 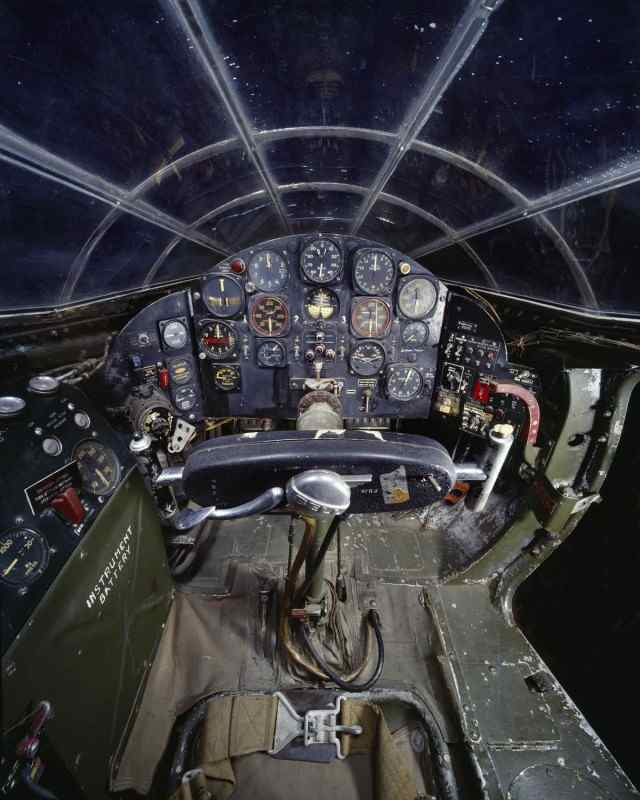 Once again, we have an open “cockpit.” Enclosed cockpits were still not yet in use. 1939 – 1945 – Famed British Supermarine Spitfire Fighter, which helped win the Battle of Britain. 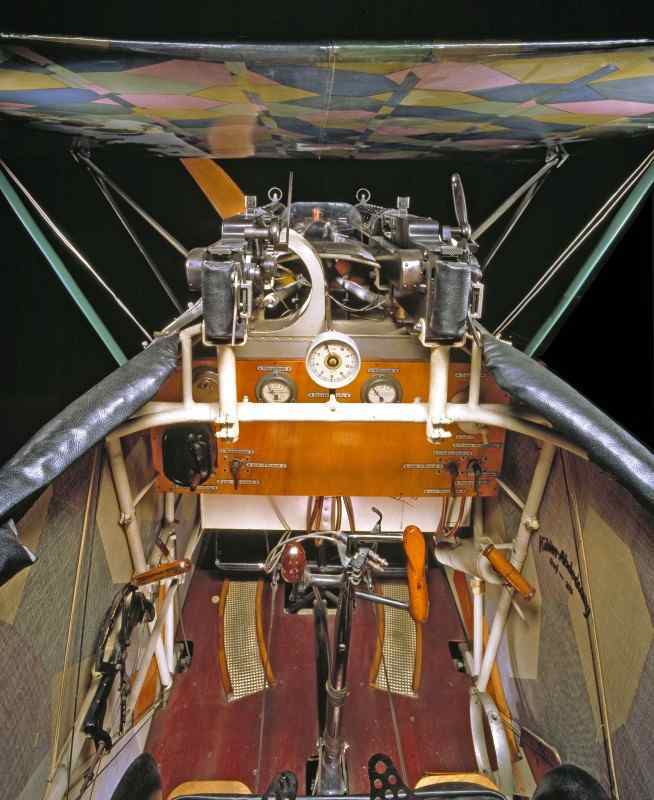 Here, you can see the control “stick” between where the pilot’s knees would be, but it is different insofar as it has a small wheel at its top. Because this cockpit’s all clear plastic canopy is drawn back out of sight, it appears this was an open cockpit, but no WWII aircraft had open cockpits. 1941 – Nazi’s Top Fighter from WWII – Focke Wulf FW 190 F.G. Note the usual control “stick” in front center of seat. 1940’s – Nazi Jet Fighter – Messerschmitt ME 262A – 1A – 1st Jet Fighter from any country to enter service in WWII. 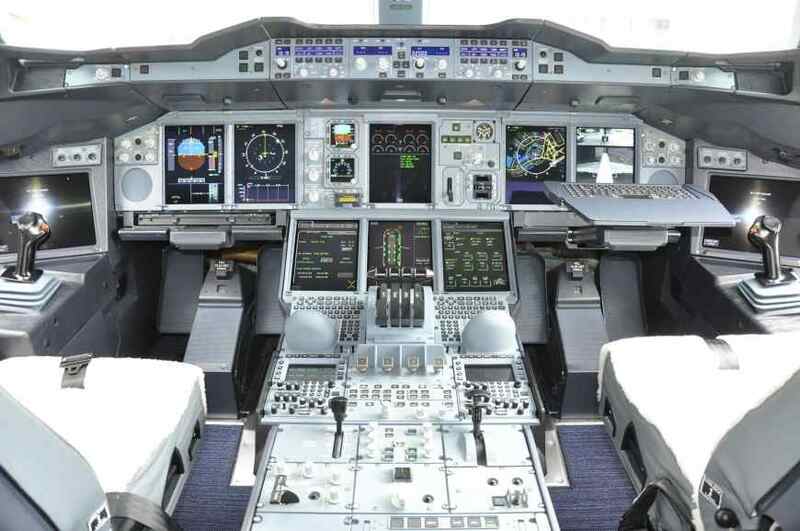 By now you can easily spot the control “stick” in front center of the pilot’s seat. 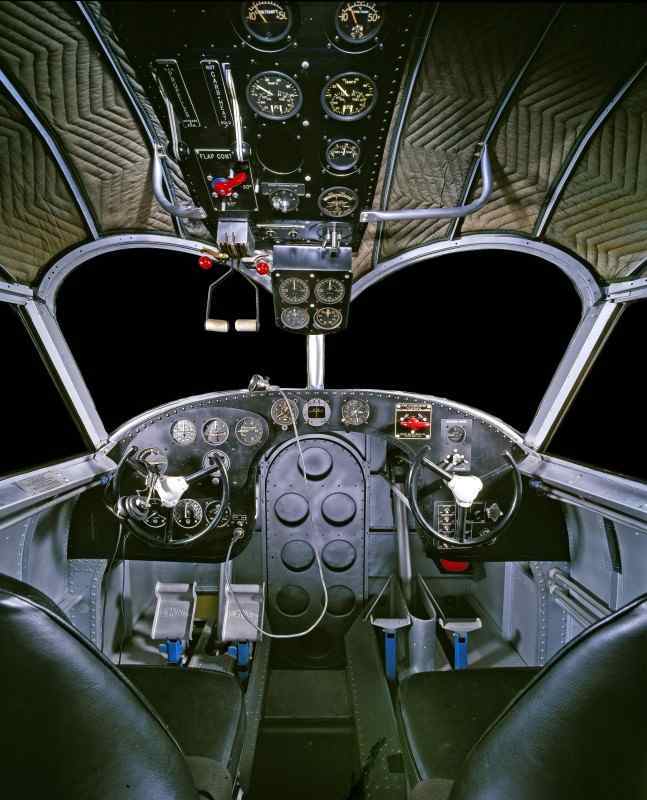 1948-1954 – Bell X1 Rocket ship – Flown by world renowned Test Pilot Chuck Yeager, who named this first supersonic test ship after his wife: “Glamorous Glennis.” Again, the control “stick” is in front of the seat belt buckle. 1944 – Boeing B29 Super Fortress – Last WWII U.S. heavy bomber which dropped the two Atomic Bombs on Japan. Instead of the control “stick” this aircraft used control “wheels” or “Yokes” , which appear above painted in black and much like auto steering wheels, except that the top of the wheel is removed. 1977 – Still in USAF Service – General Dynamics/Lockheed F-16 Fighting Falcon Day Superiority Jet Fighter. Now, for the first time, we see the control stick on the right side of the pilot’s seat. It is black with special buttons (red, white and black) on its top surface and you can see a rubber flex-boot (gray) at its base. 1966 – 1998 – Lockheed SR-71 “Blackbird” – Flown by the USAF’s First Aero Squadron. 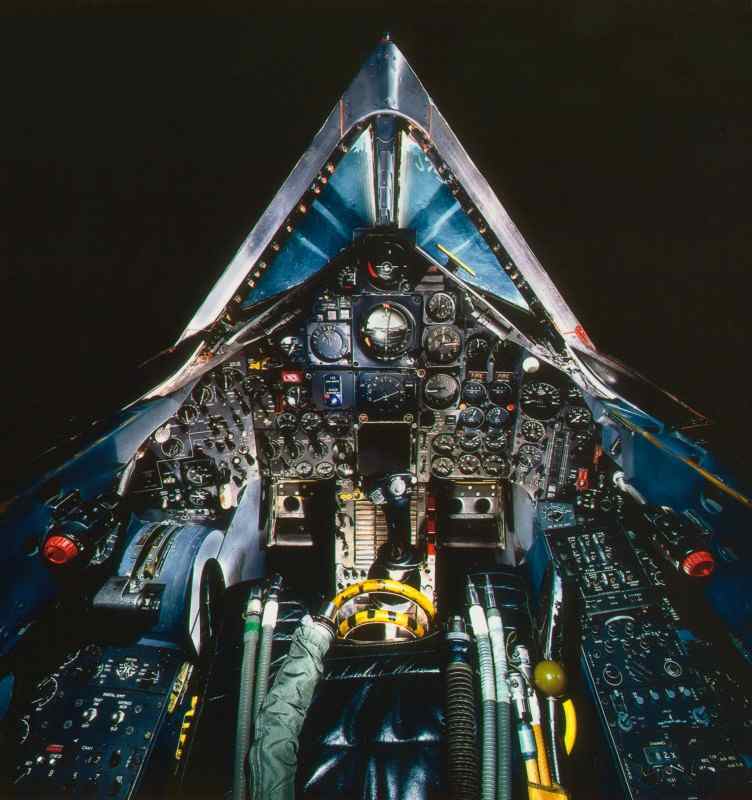 World’s Fastest Jet Aircraft, which was equipped with the now typical control “stick” in center above. 1953 – 1958 – Douglas DC-7. First Pressurized Douglas Four Engine Supercharged Airliner. This was the last Douglass powered by conventional piston engines. Their next model, the DC-8, was the first Douglas Jet Airliner. Note the two yokes above. 1958 – French Sud Aviation Caravelle Jet Airliner – In service for over 20 years with various models. 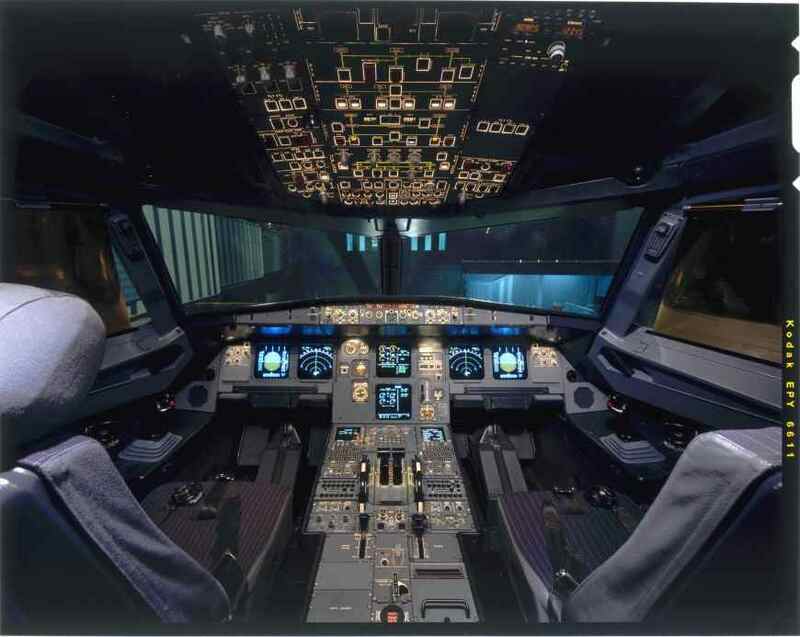 Here again, we see the “yoke” controls provided the pilots. Here, however, please note that the “yokes” are not center mounted, but rather mounted to side directed pedestals. 1969 – 2003 – 1st Commercial Supersonic Jet Airliner. Built by joint consortium of both the French & British. Plans are currently in process to fly it again. As with most of its predecessors, this airliner also provided conventional “yokes” for each pilot. 1969 to Present – Boeing 747-8. First “Wide Bodied” jet in commercial service. Here again we note that the pilots use conventional “yokes’ to direct the “wide-bodied” airliner. 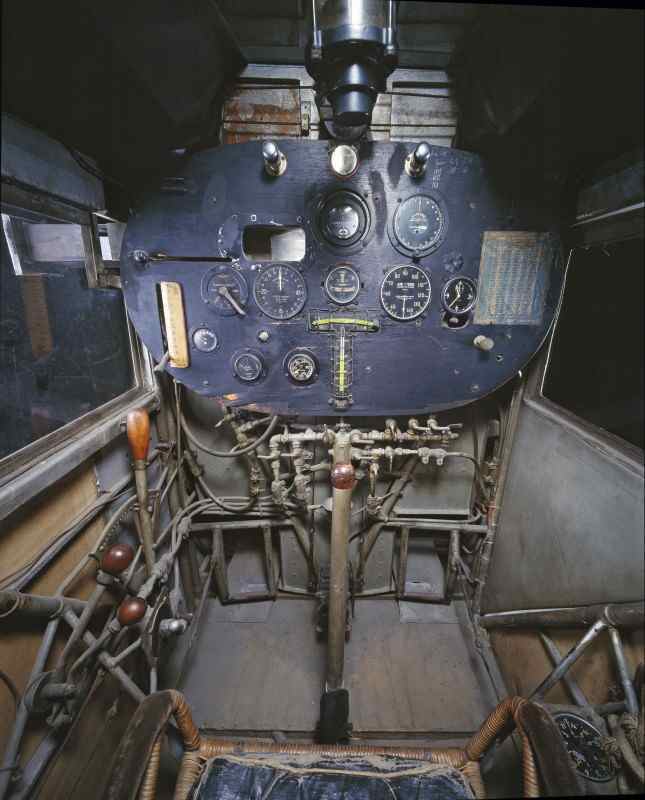 Notice the disappearance of the old “steam gauges” and the substitution of the new multi-informational “glass panel” instrumentation now integrated into the cockpit’s design. 2009 – Present. The Boeing “Dreamliner” incorporates the first widespread use of high-tech non-metallic structural members and skinning materials. While this latest Boeing still provides “yokes” for its pilots, the old “steam gauges” have completely disappeared from the instrument panel above and all the flight and engine data is presented via the new rectangular glass panel instrumentation array. 1984 – Currently Operating: Airbus A320 Narrow Body Airliner. 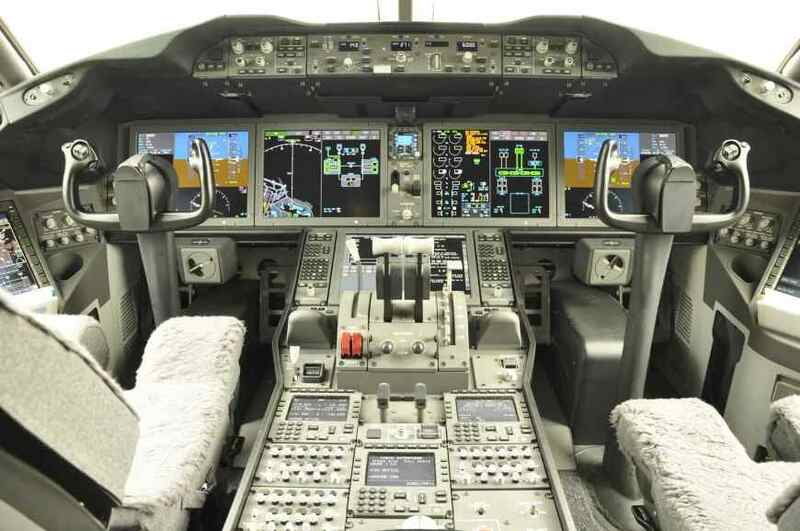 This new airliner has both the new glass panels in its instrument array and has replaced the conventional “yokes” with side mounted control “sticks” on either side of each pilot. The lighting in this photo tends to obscure the shape and location of the “sticks,” but they are there. If you look closely you can likely see them. 2005 – Currently Operating. The Airbus 380. Again, no “yokes” for the pilots, but rather the small “sticks” to the front and side of each pilot’s seat. 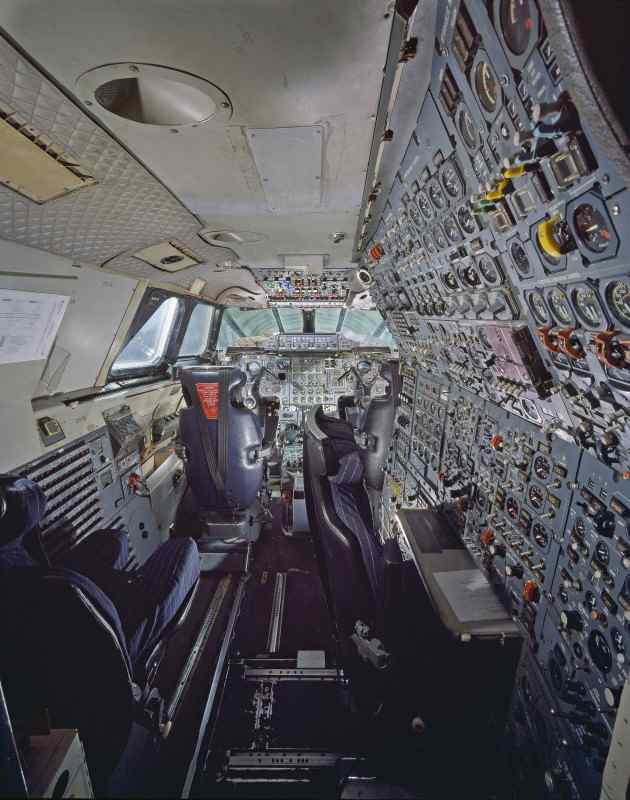 Notice the computer keyboard pulled out in front of the co-pilot’s seat (right). This entry was posted in AVIATION NEWS on September 23, 2015 by FASFRIC. A number of newer private planes now have complete glass panels and either a wheel or the side stick. So true. I was surprised to discover that the Fighting Falcon (or Viper as many of its pilots prefer to call it) F-16 had a side mounted control stick, too. Those glass panels have sure made instrument flying a whole lot easier! Thanks for the input, Robert. The Fokker DVII was in service during 1918. RICTHOFEN only flew the clear doped V11 prototype during the 1917 fighter competition.that bird has printed camo son. Thanks for the technical update on this one, Danny! Glad to have your alert input here. Any other info you have for us and our viewers will always be appreciated!